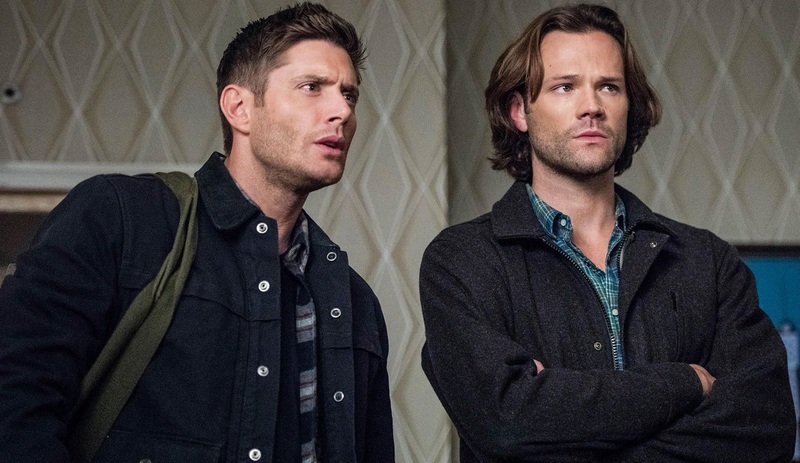 After the news hit on March 22, 2019 about Supernatural ending after Season 15, I lamented that I always thought I’d be prepared for this news. In fact, I thought I knew exactly when the news would come; with the season 16 renewal news. I didn’t have to ask what she was talking about, her tone gave it away. My stomach dropped like it was the mid ‘90s and I was back in San Antonio on the original Rattler rollercoaster. My skin prickled. I felt a wave of heat spread through my entire head. My vision swam. We talked for a bit, not long. I finished up the work I was doing and I checked Twitter. I’m a fangirl, it’s what we do when news breaks. There it was, Jared Padalecki’s video post was the first to let us know. My timeline was a mess of anguish; early years of being on the bubble and tulpa’ing a next season into existence, a writers’ strike, being shuffled off to Friday for season 7 by a network head that wanted to be rid of the workhorse series that didn’t fit her vision and then rising like a phoenix from the ash thanks to a new boss and a sweet Netflix deal,14 seasons nearly in the can and a whole season to let us down slowly and it’s still not enough. The tears didn’t come. But neither did the jokes. Crass and/or dark humor are how I deal with things. I couldn’t joke about this. Nothing was funny. I couldn’t deflect. I felt weirdly angry, not at anyone or anything in particular. Certainly not at Jared and Jensen, but there was just a low simmer of anger that’s still there. Is it a mourning stage? Perhaps. This show is a huge part of my life in ways I never imagined. When it premiered in 2005 I didn’t watch it, I refused. Angel had been canceled the previous year with the then WB network stated that while the show had done well in its fifth season it simply didn’t match where the network was heading; they wanted out of the horror genre. They wanted brighter, younger, more dramatic and romantic popcorn programming. They wanted to ride their Gilmore Girls high even higher, wanted the magic of Dawson’s Creek back. And then they launched a shadowy, grimy show about two brothers hunting ghosts. Well, I guess since one was on Gilmore Girls and the other on Dawson’s Creek, close enough, right? I wanted nothing to do with it. It was replacing a show whose loss was still a fresh wound. I had friends from BtVS/Angel fandom and Queer as Folk fandom promising me that I’d like it; I still refused. So how did I get sucked in? Almost by force; season 2 was already airing and I went to visit a friend in Oklahoma, who also was refusing to watch, and another friend (in Canada, no less) overnighted bootleg burned DVDs of the first half of season 1 to the house. FINE. That was effort. And money. So we watched. And it was game over. I came for the Woman in White (or as I knew it, La Llorona) story and stayed for these beautifully broken, brave, and devoted brothers. I came home and immediately bought the season 1 boxed set and roped another friend and her sister into watching. By the time I caught up with season 1 and the first half of season 2 (via a super secret, have-someone-vouch-for-you-and-then-let-us-check-out-your-LJ-account-to-make-sure-you’re-legit LiveJournal download community) the second half of the season was about to air. I mean, I’d just caught up with “Croatoan” and here I was poised to watch “Hunted” live in mere days. Let me tell you something: you don’t get to choose your fandom, your fandom chooses you. You can’t force it, you can’t rush it. You can love a piece of media and never fall into its fandom, you just consume and move on. It takes something that worms its way into your brain and heart and makes you need, not want, but NEED, more. Something to fill the space until the next bit is served to you. It may be fanfic or fanart, it may be fanvids or a playlists, it may just be screaming with friends online or in person at conventions. Whatever it may be, it’s a takeover. I’ve done a lot in this fandom. I’ve read fic, I’ve written fic, I used to make LJ icons, I collect gifs, hell I DEMAND gifs from friends, I have a 59 song long and growing Winchester playlist, I tweet with my friends daily, I’ve been to oh, so many cons, I’ve written reviews, reports, and recaps for various sites, I co-admin the very first Supernatural fansite (winchesterbros.com), I co-host the podcast for said site, I’ve been to the set; my friend Becky and I were name checked in an issue of the now defunct Supernatural magazine. I’m not listing for bragging rights, I’m listing to show that my investment in this show is… intense. Casual? I don’t know her. Right now, I feel like my decade plus takeover has a countdown clock over it in a way that my previous fandoms didn’t have. Those shows were cancelled fairly abruptly. I’m not sure if Jared and Jensen letting us know this early was a blessing or a curse. Was it a cruelty or a mercy? And I’ll let you in on a secret, too: I’m scared. Who am I without this show? I’m not sure anymore. Will I get to keep my friends? I have such a small number of friends left from my BtVS/Angel days and none from my Queer as Folk days. Is this going to be different? Will longevity and the real-life connections I’ve made with all these people win out? I really hope so. Will I still want to write? Will anyone read what I write? How long before those 59 and counting songs stop making me think of Sam and Dean? How long before I just stop thinking of Sam and Dean Winchester aside from the random, fleeting, nostalgic thought? It took me awhile to figure out the feeling I was experiencing. Heartbreak. I’m utterly and completely heartbroken. I relate to this in so many ways. I didnt start watching till season 9 was already on Netflix. I was an instant fan. Watched all 9 seasons in a month. Would have been shorter but had to share the TV with my kids lol. But I felt this in my soul when they said 15 is it. We all knew it wouldn’t last forever but boy could we hope. It’s a shame to see such an amazing thing end but I am so thankful for the 15 years they have given us. Supernatural is an everyday thought for me. I reference at least once a day from episodes. This is a sad moment for alot of people. But I will always be a fangirl. Never will I forget about sam and dean not only do the pics I have on my living room wall remind me but the tattoos I have will be a constant and I will always recommend any and every one to watch it. Your article says it all…. we are in South Africa and feel the same myriad of emotions. We too have discussed the inevitably of “the end” but are now reeling with the actuality. We haven’t had the ‘con opportunities but we have loved as deeply. Yeah, heartbreak. At least I feel a bit less like a freak for not having cried yet. I’m numb. I like the year to process rather than a short notice – it may be hard over the year but I think a shocking announcement would be so much more devastating. For 14 years SPN has filled my life with deep emotions and random small giggles whenever I suddenly remember something from the show, from a con, from a J2 post, from a picture, etc. I think the thing that I am most afraid of is the gaping hole that will be in my life WITHOUT the utter joy this show has always provided. What a lackluster existence without this source of constant joy and laughter. I don’t even KNOW Jensen or Jared. How did they become so necessary to my continued happiness? It’s difficult for all of us to accept. By the time it’s over, they’ve given us 15 years of their lives. FIFTEEN. I’m extremely grateful to be part of the #SPNFamily. I’m going to spring the extra bucks and get pics with the guys at the con here in Dallas in June. It’s been a great ride! OMG Vinnie. I am crying now! You are the much younger version of myself. Those last couple paragraphs are the exact same thoughts. I’ve been through this before. Being scared. Not knowing who I am. Whether I will have friends. Reinventing myself again. Seasons of life I guess. Now to go punch something. Don’t you worry – the tears will come. In the meantime, I’ve probably cried enough for both of us. Going to #SPNLV this weekend, I’ve already started hydrating and purchasing copious amounts of Kleenex.